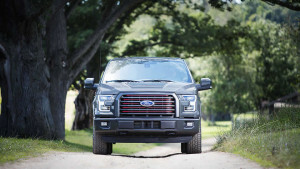 The only thing that may trouble drivers about the 2016 Ford F-150 is deciding which trim level is the right fit for them! Each of these distinguishable trims come with supercharged engines and comfortable interiors, and are reasonably priced to meet driver’s needs. A few distinctions among each enhance the magnificence that this amazing pick-up truck brings to the open road. Let’s compare them each a little closer. Experience the great 2016 Ford F-150 trim levels at Glenwood Springs Ford! Visit us at 55 Storm King Rd. Monday through Saturday or contact us online to talk more about which of these six desirable trim levels is the right fit for you!